As part of our Himachal trip in December 2010, we went to Rohtang pass, which is situated at distance of 55 km from Manali. We don't have any hope of visiting Rohtang pass, as we are traveling in winter, but still we included that in our itinerary. As the Rohtang pass region receives heavy snowfall and due to the bad road conditions, the road to Rohtang pass is closed almost for 8 months in a year. Even though the road was officially closed on the day we reached Manali, at our own risk we went there and enjoyed the beautiful snow peaks traveling through the one of the world's dangerous roads. In this block I'm going to give a brief intro about the Rohtang pass for all those people, who don't know about one of the best travel destinations in India. Rohtang Pass at an altitude of 13,051 ft is a high mountain pass on the eastern Pir Panjal Range of the Himalayas which is at distance of 51 km from Manali. It connects the Kullu Valley with the Lahaul and Spiti Valleys of Himachal Pradesh, India. The road through the Kullu Valley, past Manali and over the Rohtang Pass to Keylong, and Lahul and on to Ladakh, has become very busy during the summer months as an alternate military route, following the Kargil Conflict in 1999 in addition to tensions in Kashmir. One has to cross Rohtang pass for reaching Ladakh and road between Manali - Rohtangpass - keylong - ladakh road is the most dangerous and highest roads in the world. 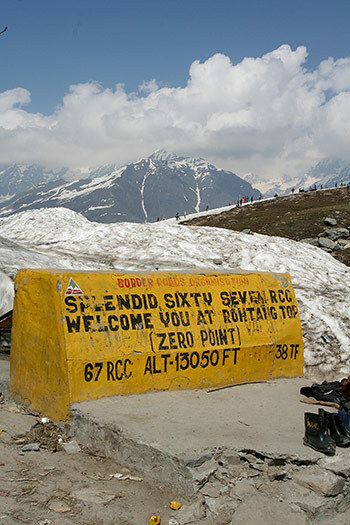 It is suggested by some linguists that the name Rohtang is a Persian word meaning pile of dead bodies. We started to Rohtang pass from Manali at around 7 AM and our first stop is at a shop, where we rented the dress and shoes for getting into the snow. They charged 700 per person for shoes, long ski suite and a ski trainer. After dressed up in 3 layers of clothes we started on the Manali - Keylong highway to Rohtang Pass. Half the way to Rohtang pass had very good view points and not much scary as we expected. But after crossing a bridge over beas river, the scary road started. The bridge is located at the bottom of a huge mountain, which we have to travel completely to reach Rohtang Pass. From there was no perfectly laid road, and the road was completely filled with rocks and some places it was covered with snow. Even a small amount of negligence can lead to a disaster. 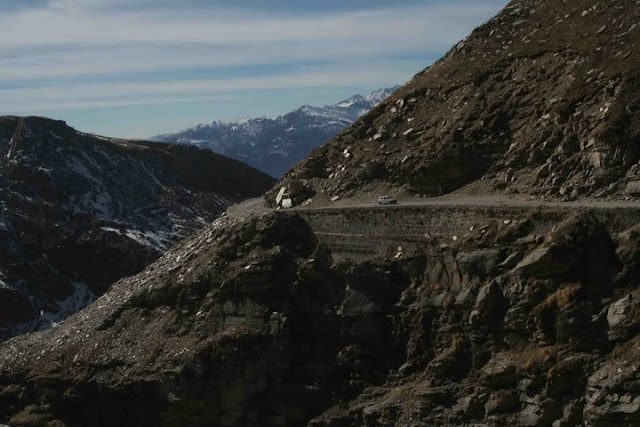 Driving in Rohtang pass road is not an easy one as people think and if you want to enjoy the ride to Rohtang pass, you must require a good driver, who know the road conditions there well. Preferably hire a local taxi in Manali instead of going for a self drive. We saw many people stuck in the middle of the road as they dont have much experience in driving that way. If you miss any road margin on the way, dont even think of being alive. Not even the road, the valley also scares you a lot. We had a mix of both happy and scary feeling by looking at the picturesque views of the valley. And finally after travelling for about 3 hrs, we reached Rohtang pass located at a height of 13k feet. We felt that, we were on the top of the world. That was our first time experiencing the snow and ski slopes. The view of the ski slopes and the surrounding mountains was amazing and we became speechless after seeing the beauty of Himalayas. We reached Rohtang pass at around 10 AM, and had break fast(noodels, dont expect much) and proceeded for skiing. We some how managed to do skiing for a couple of minutes and that too just for posing to cameras. After playing in the snow for 1 hr, some of our trip mates suffered with dehydration, because of the mixed climate and luckily there is one shops even at 13k ft height that sells water and snacks that helped them to recover from sickness. We again reached our vehicle at around 1pm and started to manali. On our way to manali, one truck which was just two vehicles ahead of us skidded on snow and blocked the entire road. With the help of army JCB, it took almost 2 hrs to pull the truck back and to clear the traffic.After passing through all these hurled finally we reached manali at around 6pm. Till date I had been to many travel destination in India, but this one day trip to Rohtang pass will be a life time experience for me. Next year I'm planning to visit Ladakh passing through the Rohtang pass. 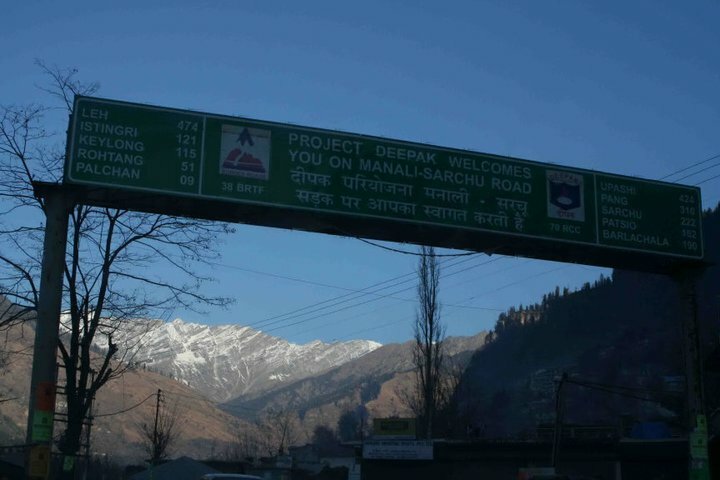 Reaching Manali: The airport at Bhunter is 50 km from Manali where taxis and buses are available. The closest narrow gauge railhead is at Joginder Nagar, 165 km away. The closest broad gauge rail heads are Chandigarh (310 km) and Ambala (355 km). By road the distance from Delhi is 570 km and from Shimla the distance is 280 km. From Delhi, there is a regular HPTDC Luxury and Volvo Coach to Manali. HPTDC runs Luxury coach from Shimla to Manali in tourist season. Reaching Rohtang pass: The Rohtang pass is 55 KM north of Manali and it is located on Manali Keylong Highway. A full vehicle can be booked for a journey to Rohtang or one can use shared taxi. There are taxi operators in most parts of the Manali and some good centers are there around Mall road whom you can contact for all travel requirements. Even though you have your own vehicle, it is recommended to book a local taxi. Climate :- In winter, the temperature can drop to below freezing point when heavy woolens are required. Summer temperature are mild and light woolens / cottons are recommended. If you are planning to visit Rohtang pass, then please keep more amount of food in reserve as there are huge chances of getting struck in the middle way. And please dont dare to drive on this route, if you are not aware of driving in snow/mountains. Important:- Himachal pradesh government completely barred the vehicles from out of state from traveling to Rohtang Jot, an exception has been made in case the vehicle is heading to Ladakh, Lahaul or Spiti. In which case, they will need to get permit from the Sub-Divisional Magistrates Office in Manali during working hours (10AM to 5PM, Monday to Saturday (barring second Saturdays and Government Holidays). really good blog, I cycled across this in september 2011, the craziest road ever and the best trip of my life, I remain friends with the guides in India and promise to return again we cycled Shimla to Minali through a 760Km route taking in the Spitti Valley region. Simply incredible! 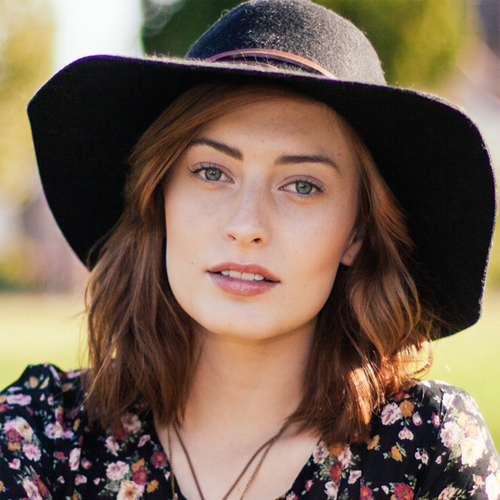 Saved as a favorite, I really like your blog! Great post. I am facing a couple of these problems. Thanks for sharing such informative information.........! Same Day Taj Mahal Tour by car is best tour package for agra visit in one day, if anyone planning to visit agra city in single day then this is best tour for him.